"I have always thought that those very early Beastmen/Broo were the best Beastmen we ever did." - Bryan Ansell. I think he'd be right. 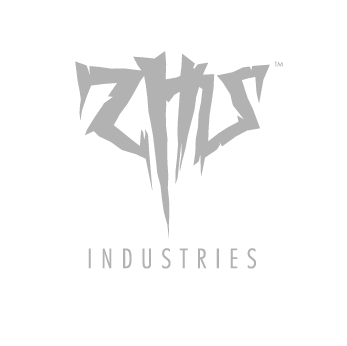 The Chaos Broo range are hugely evocative. 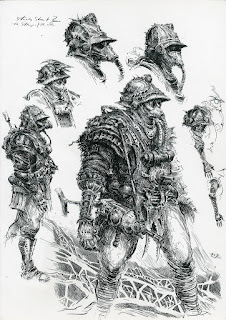 Dressed in rags, adorned with grizzly trophies, a psychotic maraudering warband of half-human half beast. 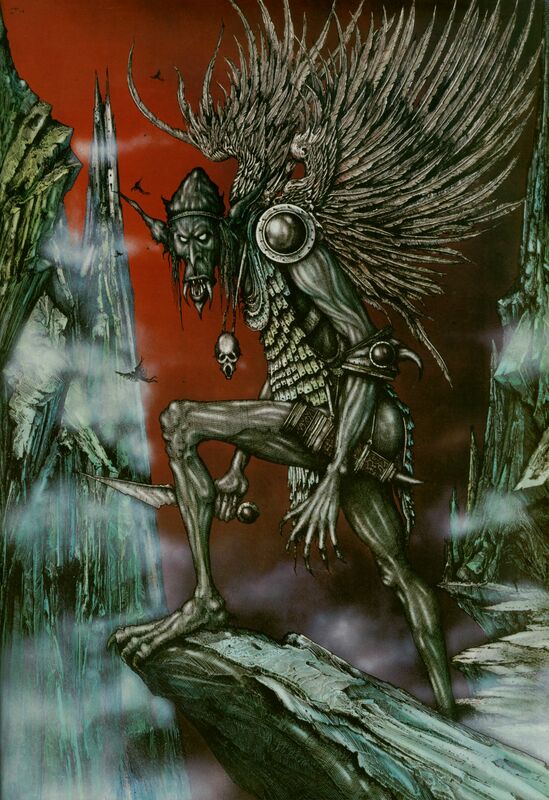 There are many classic goat-headed types, reminiscent of Goya or Fichero and Levl as much as Hammer Horror, Goat of Mendes style twisted evil types, the like of which John Blanche graced the cover of the Citadel Compendium (model here). 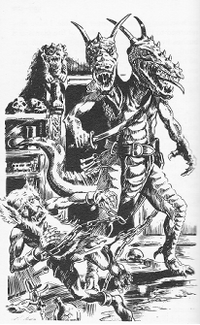 Alongside those are aberrations such as the two-headed lizard man straight out of Fighting Fantasy. 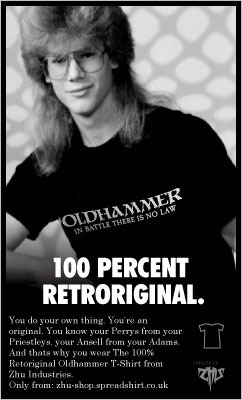 No wonder everyone played Runequest back in the day. 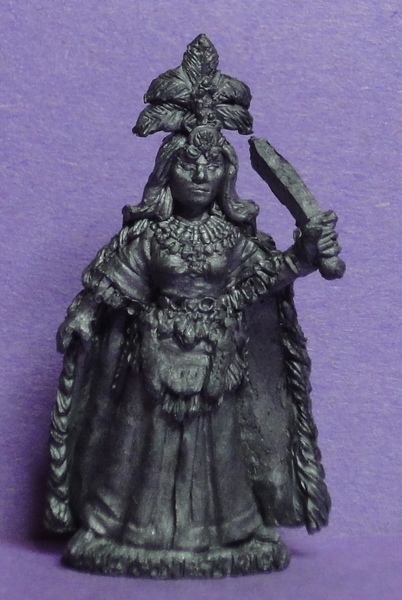 Wardy has a written up a pretty good overview of official Broo figures from a variety of manufacturers, and of course the CCMwiki is the place to see the Citadel Runequest range, in the lead as it were. Wolves. A bit stuck really, there are I think, 3 possible models, all of which aren't very good. The Chronicle range are far superior monsters, but all have saddles, which would take some extensive modding to make into something more fitting. Trolls. Again, nothing perfect - most of these are "just" normal trolls, not flying, not time-slippy weird things. Keeping things Tr00 and Kvlt... with the right paint job (think Red Skull mask rather than actual skeleton) the Plague Rider could work really nicely, both mount and rider look forlorn and despondent. Mounting the champion does make a lot of sense, as it improves armour and speed. Without giving too much away, hit and run tactics might come into play, the Toughness and Attack reduction is potentially devastating. 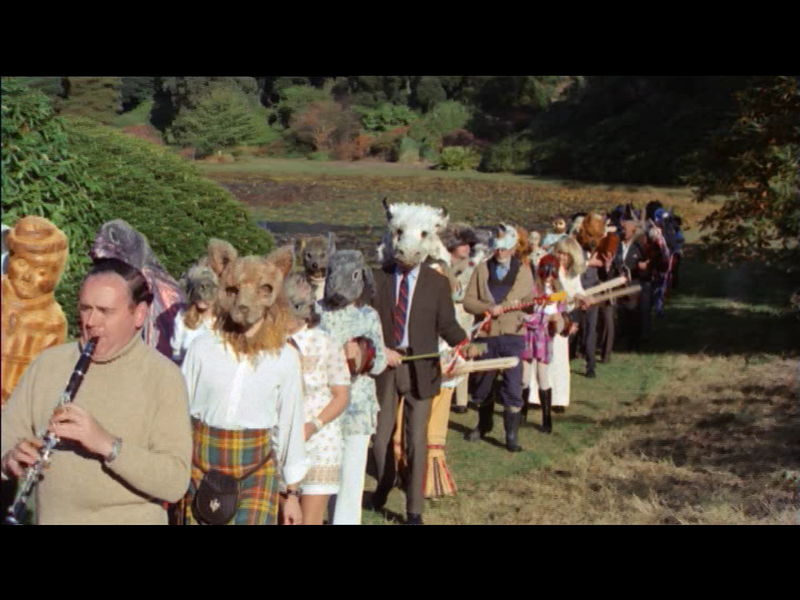 This is definitely got a specific aesthetic, filth-encrusted, deranged and very slightly carnivalesque, over-hyphenated, crust-punk neo-folk version of the Wickerman. All together I recon I'd need around £140 worth of old lead. 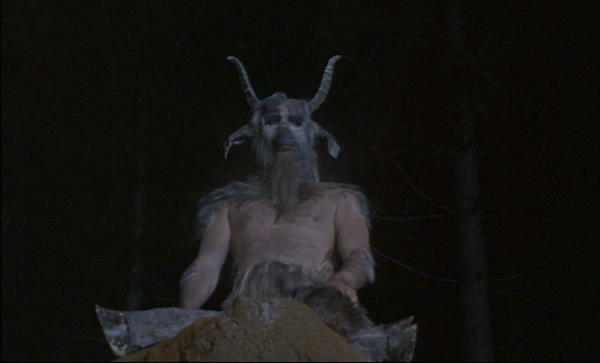 But to be blunt, the wolves are crap, but it's hard to resist that distant braying... the call of the Broo! Looking at my randomly generated Realms of Chaos warband, the thing that immediately pops into my mind is to use Otherworld Miniatures range of D&D inspired minis. One reason is that I already own several of these and I really like them! OK, so Pig Faced Orcs are Orcs, not Broo, can I get away with it? besides the fact they're Kevin Adams, maybe I can paint them red... Oh and I've decided to refer to GWs beastmen as Broo, because it's more oldschool, and true to the roots. Jo Brumbys wolves are lovely, seriously nice, naturalistic wolves. The Ogre Mage, I can just imagine him on a flying cloud - Monkey style, so he's got a kind of oreintal trollish mystic vibe. Whether he's a Troll or an Ogre, hmm, I don't think it matters. The Berserkers are just spot on. 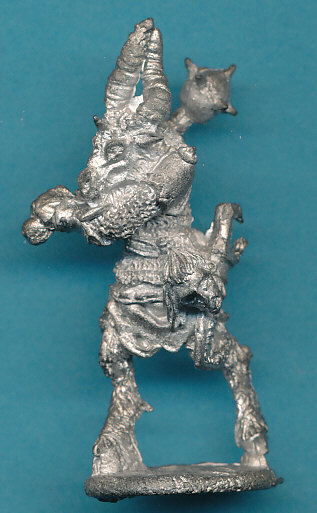 I think the Champion is going to cause me most problems finding a suitable miniature. The Zombie on the right could work if painted in natural-ish skin-tones, but it's not quite there. Overall I think these are pretty great figures, and I already own some of them (half the wolves and all the orcs required). Total cost, £93.00, and I'll use these minis again for other things. But on the other hand I do feel like replacing the Broo with Orcs is cheating a little bit too much. In the grim dark past that was Thatchers Britain, the default setting of a game called Warhammer was a place called Lustria. 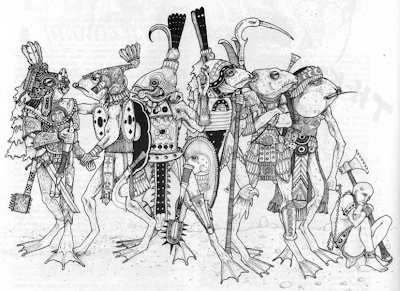 The mutant brainchild of then GW game design supremo Richard Halliwell, Lustria promised us a land of adventure, lush rich visuals, an exotic mesoamerican wilderness populated by the remnants of lost civilisations and strange, alien peoples. Sure, the quasi-medieval Empire well established today was there, but really, alien frogmen, zigguraut pyramids, dwarven treasure-hunters and feathered serpent magicians were where it was at - but none of these were as central to the conception of Lustria as Amazonia: The Empire of the Amazons. And none so central to the Amazons than the Goddess Rigg. 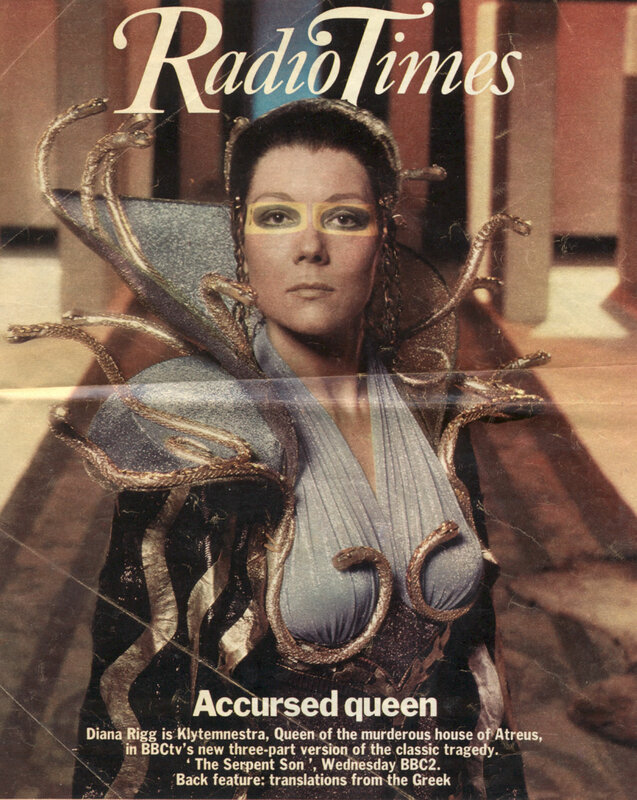 It is quite commonly suggested in Warhammer fandom, that Richard Halliwell named his Amazon goddess "Rigg" after the screen actress Diana Rigg, possibly most famous for her role as Ms. Peel, the original leather cat-suited Avenger, long before Scarlett Johanson stole fanboys hearts doing the same thing. 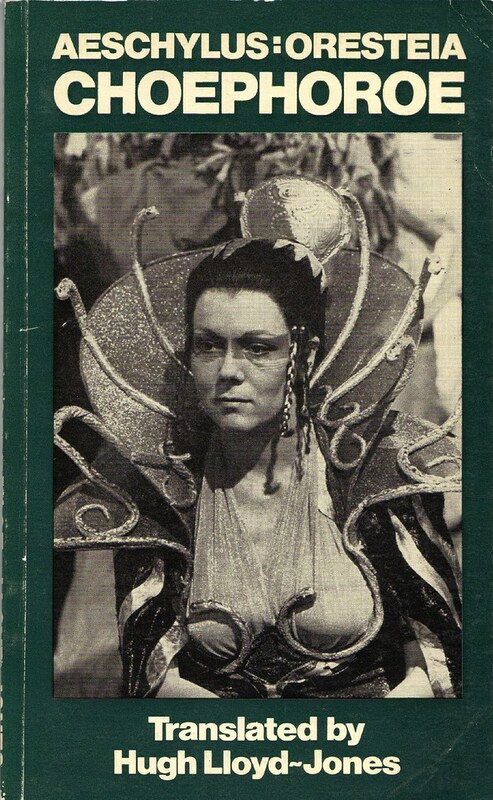 But, back to the plot, why Halliwell should choose this particular actress seemed somewhat of a non sequitur the 60's British modernism of the Avengers at odds with Lustrias blend of archaic exoticism and sci-fantasy weirdness. 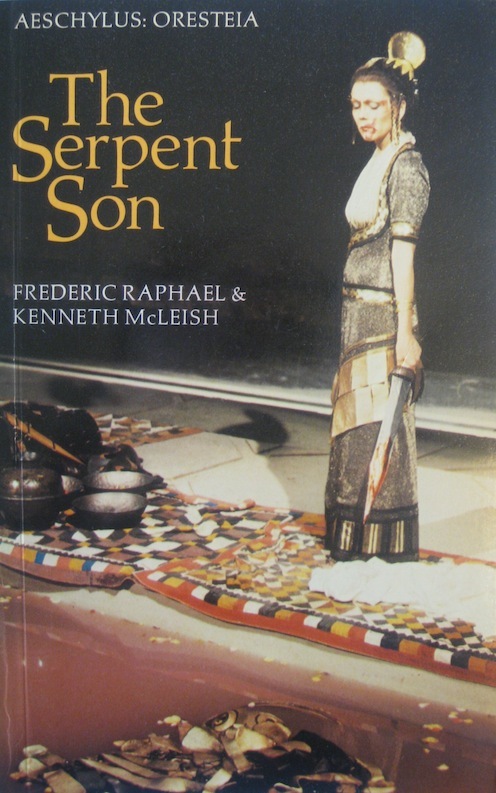 The Serpent Son, BBCs 1979 adaption of Aeschylus' Oresteia combined both Minoan and Science-fiction influences (erudite and informative article here). Notable credits include set and costume design by Barbara Kidd, probably better known for her work on Doctor Who in the 1970s (and new Who as well). Puts me in mind of a more dusty and autumnal version of Jack Kirby's costumes for Julius Ceasar. This was no dry, worthy adaptation of Greek myth, but rather an avant garde, post-Star Wars affair, no doubt designed to get the spotty oiks who were busy playing D&D to read some "proppa kultcha". Well done Auntie Beeb. Unfortunately there is no Youtube video or DVD release, so exactly how entertaining it is will have to be left to our imaginations. 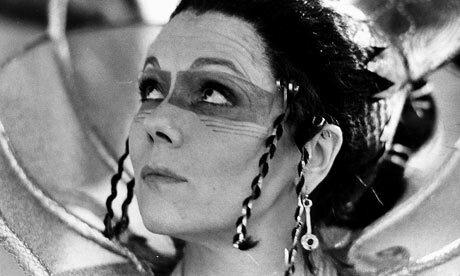 Diana Rigg | Klytemnestra | Make a mighty fine Witch Elf / Drow Priestess or Priestess of Mongo to boot. 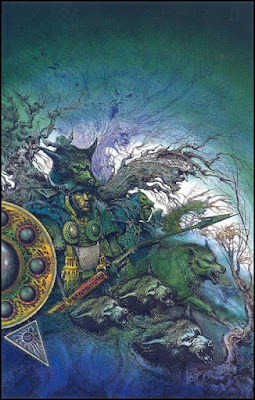 This is a particularly intriguing image, the dirty-faced woodwose looking like odinic refugees from the Sagas, perhaps mirroring one of the central theme of the Lustrian campaigns - invasion by Norse settlers. Rigg has one knife and four throwing knives (18" short range only, S4 hits). Evidently with an LD of 4, she's a go-it-alone sort of gal, not given to leading others. 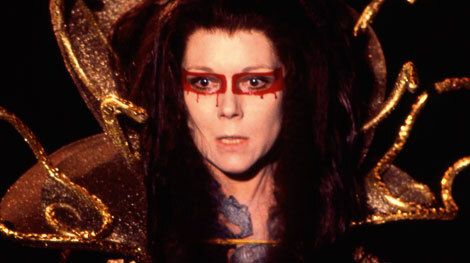 Unfortunately I cannot invoke Gu-Gle to provide a colour image of Helen Mirren as Cassandra, Clive James states "Helen Mirren played her as an amalgam of Régine, Kate Bush and Carmen Miranda. In a punk hairstyle the colour of raw carrots." Again emphasis is mine, but I am slightly concerned about Clive James identifying what appears to be an acid perm as "punk". Punk, of course being one of the major design themes of the Amazons, with mohawks abound. I can't possibly have a post on Sci-Fi Greek Myths without another trip into the Broom Cupboard for some mid-80s cartoon nostalgia. 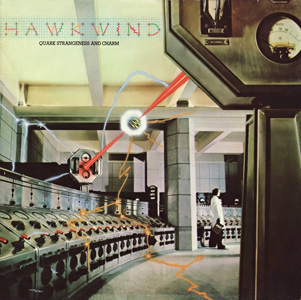 No real connection to Lustria at all, but past the fantastic sing-long theme tune and dodgy dubbing, the soundscape effectively evokes the blank erieeness of floating through empty space in a deserted spacecraft, in a kind of ambient progfunk way, while featuring blue skinned, white haired psionic Drow aliens (an influence on Daft Punk) and vast, alien architectures based on ancient earth cultures, this episode: an ancient egyptian space-station. Mortals, you defy the Gods? I sentence you to travel among unknown stars. Until you find the Kingdom of Hades, your bodies will stay as lifeless as stone. Here goes creating a Realm of Chaos:Slaves to Darkness warband for Orlyggs chaos warbands game at the forthcoming Foundry do. Ok, bit dull there Khörne, human the most likely type, with all the fun options, to say the least, I'm truly disappointed. Fair enough. I'm determined to play by the dice, so standard human profile is what I get, along with a vague feeling that the will of Khörne is against me. Young God, I wanna help you, collect blood and stuff, so come on..
Plaguebearer of Khörne. Sub-roll: 1 The Shakes - attacks cause T-1 and A-1 loss, whether they hit or not. Oh great, but also gives him T-1 and A-1 losses, but as stats can't go below 0, so no effect, phew. Otherwise my Champion of Khörne would be unable to actually attack anything, which is exactly what a god of war would look for in a follower, ah but, his friends and his foes, would rather die than have to touch him. 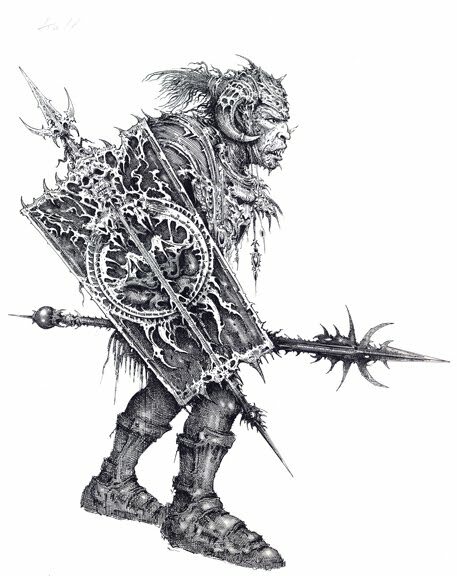 So there we have it, my Chaos Champion, a weak, ill, low-level human, probably spent his whole life in ruins, because of people who are nice. Champion gets chaos armour for free, and a chaos steed or weapon. 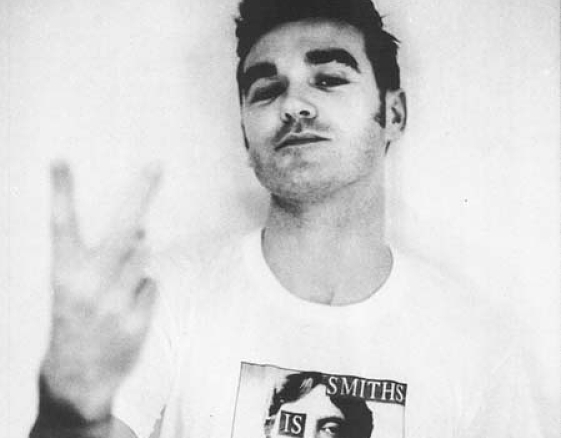 Seeing my luck I'd probably roll up a broken bicycle, on a hillside de-solate. 5 rolls for a level 5? I'll drop one as my champion is no-level, so 4 rolls on the retinue table, lets see what depraved creatures of chaos decide to join my Champion on their quest. Sub roll: 10. OK, I like wólves, or maybe Woolfs of a Virginian persuasion. Who is Afraid of the Virginian Woolf? Oh no, Khörne has changed his mind again. Temporal Instability means every turn I have to roll a D6, on a roll of 1, roll another D6 and the Trôll is out of the game for that number of turns. So I've got a flying troll that probably hardly even appear on the field of battle. Truly, truly, dissapointed. Flying Trôll, if he bothers to turn up on time. This is supposed to be the Realms of Chaos, where's my Dragon-ogre with a plasma-cannon for a head? Or my chaos dwarf were-harpy? Apart from the Floating Troll of Tardiness, this list is just about as miserable a list as you can get. Hey Khörne, read these lines: truly disappointed, truly, troooly truleh ooooh oh ah ha ha. Ah, good night, and thank you. It is the 16th century. From all over Europe, great ships sail west to conquer the New World, the Americas. The men eager to seek their fortune, to find new adventures in new lands. They long to cross uncharted seas and discover unknown countries, to find secret gold on a mountain trail high in the Andes. They dream of following the path of the setting sun that leads to El Dorado and the Mysterious Cities of Gold. If you watch the intro (do it, do it now! ), You'll notice that the title sequence starts in space. Theres a reason for that - the Olmecs (the bad-guys) are in fact a race of alien beings, who use solar energy to power super high-tech equipment, made out of gold, such as the eagle aircraft, to rule over South America, except they've forgotten it. or something, I can't quite remember. South American Alien pyramids sound vaguely familiar? Well it could be you remember the writings of Ancient Alien funky mojo proponent, Erich Von Daniken. Unable to believe that anyone who isn't a modern white European was able to do anything remotely significant in terms of culture or structural engineering, Von D jets around the world claiming every ancient structure bigger than a mud-hut was built by aliens. 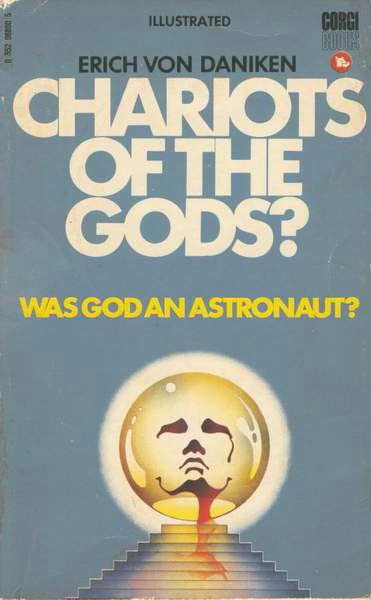 No, Erich, God was not an astronaut. Chariots of the Gods was first published in 1968. 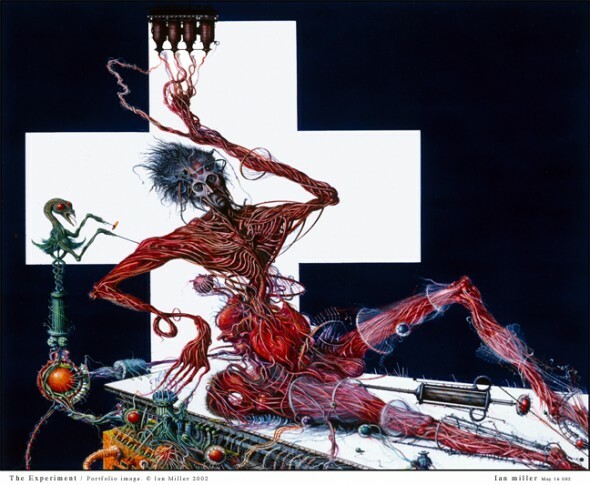 A film was made, with awesome music (tho' not up to Cities of Gold sing-a-long in a broom-cupboard level) and by the power of youtube you can watch it, it's fun romp with some killer imagery, as long as you remember it's as silly an idea as Uri Geller's spoonbending. 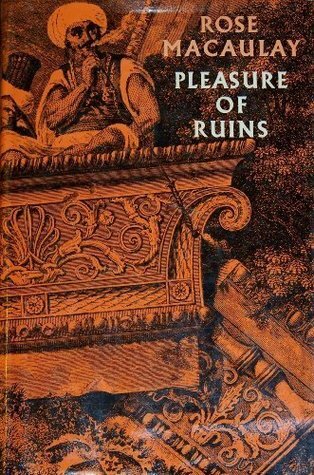 I loved reading this stuff as a kid, aliens, exotic landscapes, unearthing ancient mysteries, the adventure and the hodgepodge of ancient art, so when the Mysterious Cities of Gold aired, I felt right at home. Oh yeah! A quick recap of the Warhammer 2nd Edition timeline, ice-planet, ruled by dinosaurs / dragons /lizardmen and a small population of human-like Amazons (see the Hammer fur bikini trilogy: One Million Years B.C. (1966) Prehostoric Women (1967) and When Dinosaurs Ruled The Earth (1970)) Warhammer worlds secret pulp-adventure origins... Then the alien Slann arrive, with names like Gotta-lotta-botl and Koppa-Ketl who proceeded to put warp-gates at the north and south pole for easy interstellar access, and begin terraforming the planet, and building pyramid-engines to stabalise the atmosphere and stuff. The Slann then genetically engineered various slave-races for different jobs, " Eldest of all, the elf-children, Dwarf the delver, dark are his houses; Ent the earthborn, old as mountains; Man the mortal, master of horses" Oh no that's something else. Elves to psychically control things, Dwarves to build, Orcs to Waaaagh... 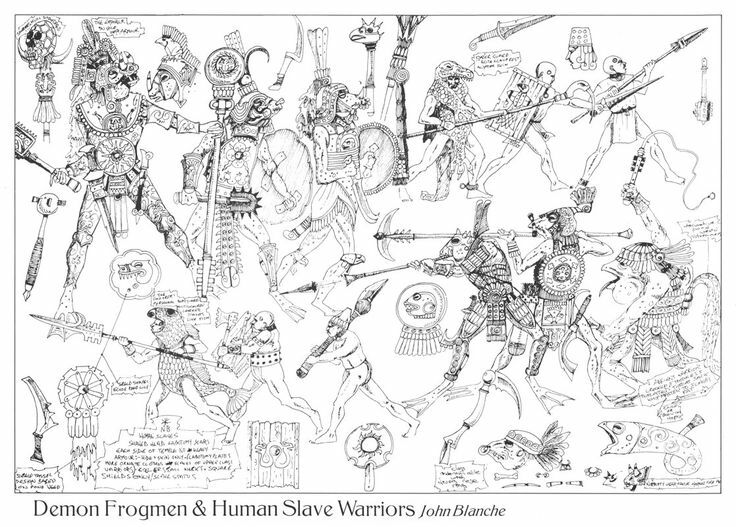 Anyway, the frogmen created a world-spanning empire of genetic mutants, controlled the climate and battled with the Evil Forces of Skeletor Chaos spewing forth from their increasingly malfunctioning dimensional portals. 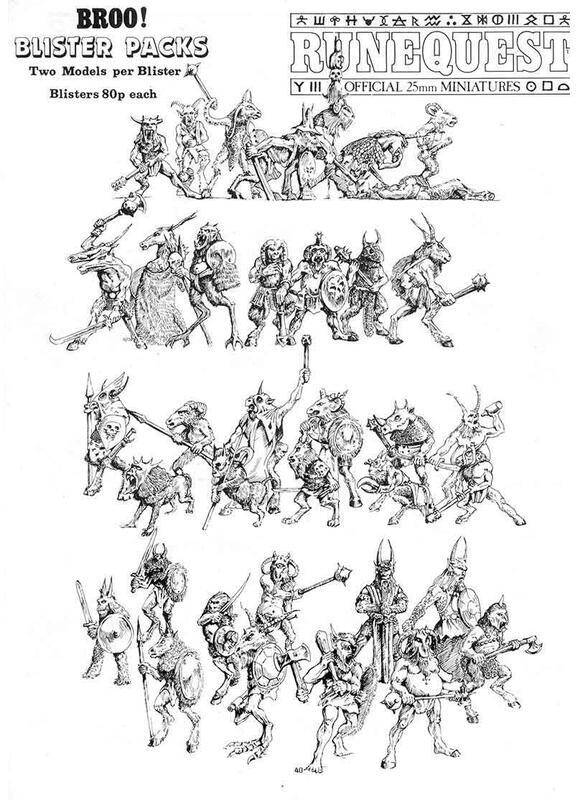 RBG are back again with a new Kickstarter, this time kicking off with some Goblins, including these lovely footmen which have just been unlocked. 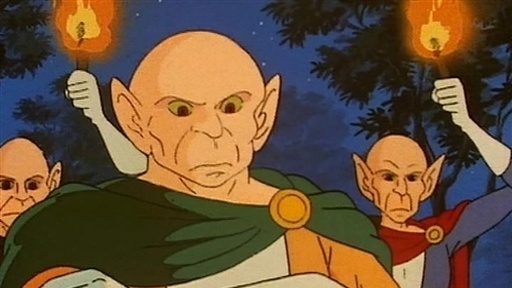 Much in the vein of John Bauer / Brian Froud, with scavanged equipment it's kind of thing going on that really make these goblins stand out against many other goblinoids out there. I tend to use the words folksy and woodsy a lot to describe things I like, and I think they apply equally well here. 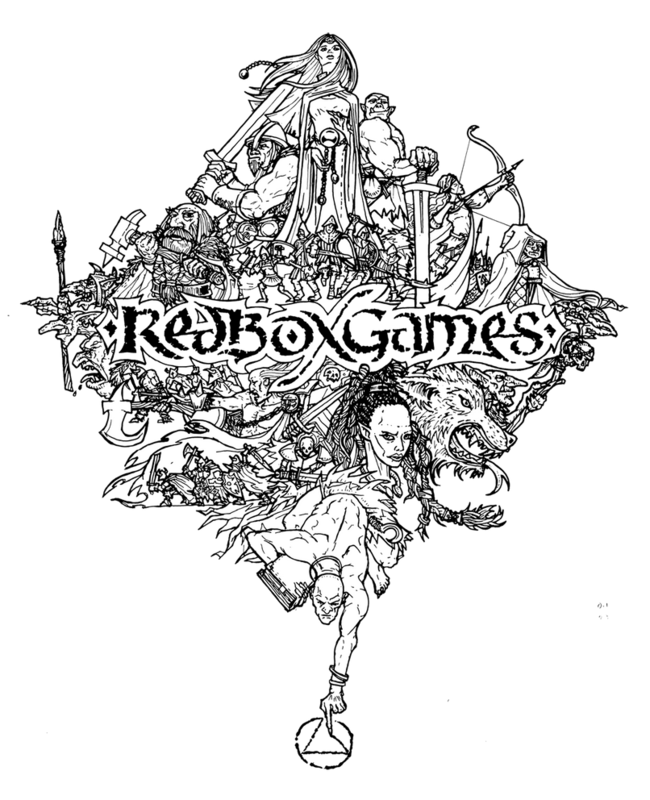 Loads more at the Kickstarter including Archers, Berserkers, Trolls, Wolfriders, yeah! Also a big shout-out to the Oubliette crew for resurrecting the original 1978 Games Workshop AD&D character sheet (if anyone asks, copyright duration on typographic arrangements is 25 years in the UK). 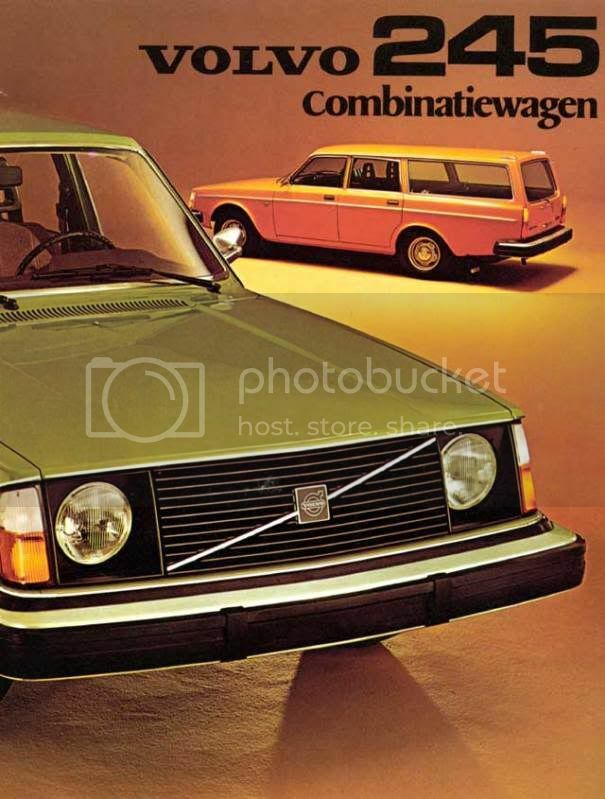 Just to wax lyrical about hte graphic design here, it's full on, but rather than talk about fat-line, rounded corners, Star Wars toy packaging, Logans Run typography and architecture or the interior design of the Imperial Death Star. 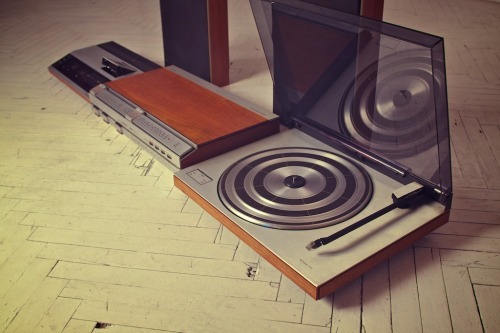 No, I'm not even going to suggest the elegant modernist rationality mirrors the design ethos of Dieter Rams and direct your attention to the flow of the Dex-box into the skills. 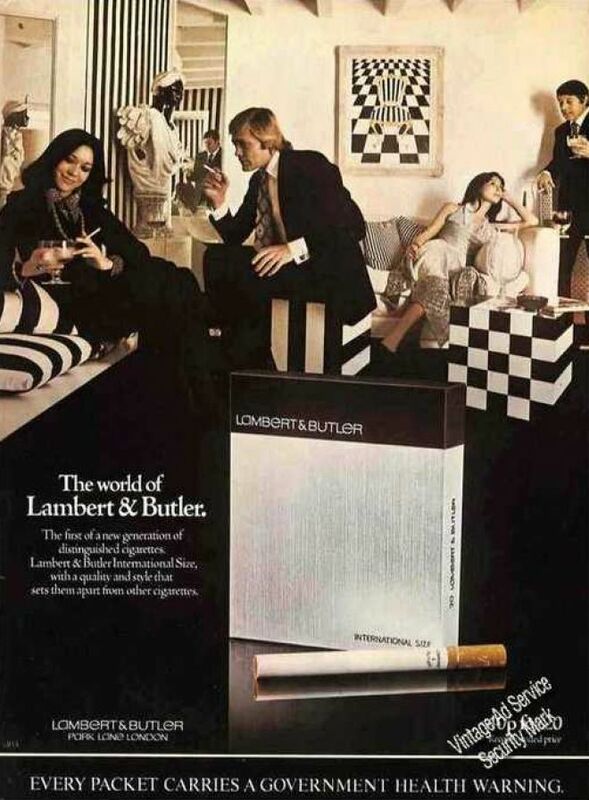 Instead I'm going to suggest you throw the pad on the front dash of your Volvo 245 Estate, drive to your DM's op-art bachalorette pad, put some Hawkwind on the Beosystem, pick up some Lambert and Butlers, grab your 3D6 and roll one up while she lays out the GW floorplans and pre-slotta Citadel Miniatures. And there are some killer deals - including £12 for 2 printed A4 pads and all 8 issues of Oubliette zine as a PDF. Currently it's only £78 off making it's target goal of £300, go on, game like it's 1978. Apologies to Tre and Paul for lumping these together, without even so much as bothering to juxtapose them other than them both being very cool, lazy Zhu. Commercial transmission ends, normal service will resume shortly.